Researchers at the University of Chicago working with scientists at Tsinghua University and the Chinese Academy of Sciences say they can boost the tumor control rate in mice from around 40% up to nearly 100%. Their study (“Anti-tumor immunity controlled through mRNA m6A methylation and YTHDF1 in dendritic cells”), published in Nature, relies on manipulating dendritic cells, which act as messengers, connecting the innate and adaptive immune systems. But a protein known as YTHDF1 influences antigen processing by dendritic cells. This protein was discovered and characterized in 2015 by Chuan He, PhD, the John T. Wilson distinguished service professor in chemistry, biochemistry, and molecular biology, and the director of the Institute for Biophysical Dynamics at the University of Chicago. YTHDF1 controls the level of proteases that destroy potential tumor antigens. This limits their presentation to T cells. These limits were a problem, He said. But when he and his colleagues eliminated YTHDF1, the dendritic cells increased their ability to engulf peptides, degrade them, and present them to T cells. 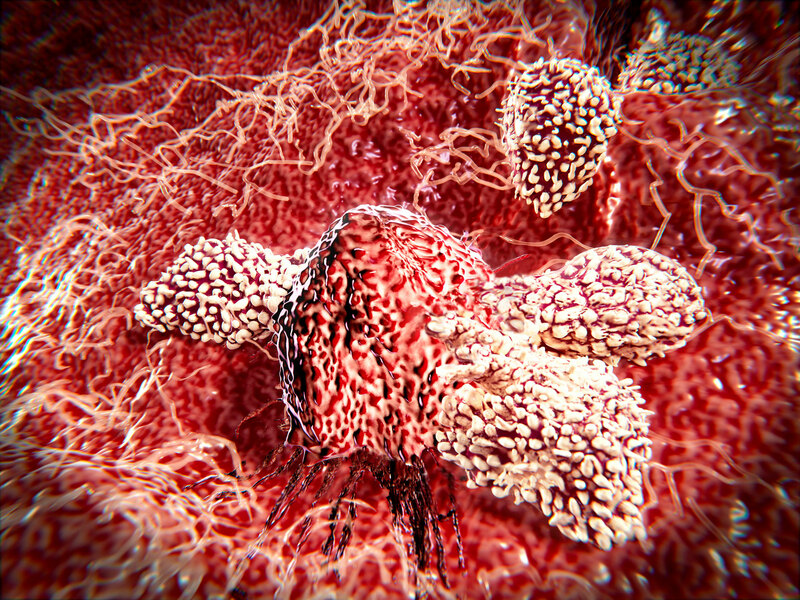 This opened up a new and potentially effective approach to the treatment of cancer in patients who do not respond well to checkpoint inhibitors. “There is growing evidence that tumor neoantigens have important roles in generating spontaneous antitumor immune responses and predicting clinical responses to immunotherapies. Despite the presence of numerous neoantigens in patients, complete tumor elimination is rare, owing to failures in mounting a sufficient and lasting anti-tumor immune response. Here we show that durable neoantigen-specific immunity is regulated by mRNA N6-methyadenosine (m6A) methylation through the m6A-binding protein YTHDF1,” wrote the investigators. “Once we combined YTHDF1 knock-out with the checkpoint inhibitor anti-PD-L1, we got almost complete tumor control in a mouse model,” He explained. Instead of a 40% response, nearly 100% of treated mice with melanoma responded to anti-PD-L1. The researchers confirmed that dendritic cells from mice that lacked YTHDF1 were more effective at antigen-presentation than dendritic cells from normal, wild-type mice. “Our data show that loss of YTHDF1 in dendritic cells attenuates antigen degradation and leads to improved cross-presentation and better cross-priming of CD8+ T cells,” according to co- corresponding author Dali Han, PhD, now at the Beijing Institute of Genomics. Together with gastroenterologist Marc Bissonnette, MD, associate professor of medicine at the University of Chicago, He’s team performed an additional test using biopsies from human patients with colon cancer, a disease that is much less responsive to immunotherapy than melanoma. They found that tissue from patients with high levels of YTHDF1 had limited T cell infiltration, but patients with low levels of YTHDF1 had more T cell infiltrates. “This suggests that humans correlate nicely with our mouse data,” He added. This supports the notion that reduced YTHDF1 often coincides with the T cell inflamed tumor microenvironment, which is crucial for successful immunotherapy, the authors noted. YTHDF1 could be a therapeutic target for immunotherapy in combination with emerging checkpoint inhibitors or dendritic cell vaccines. “It will be really interesting to test how the human system works with potential dendritic cell vaccines or small molecule inhibitors that can suppress the activity of YTHDF1 in human cancer patients,” according to corresponding author Meng Michelle Xu, PhD, a former member of the He and Weichselbaum laboratories.